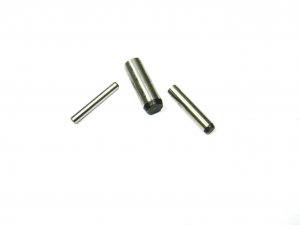 Purchase a wide range of sizes from our Solid Dowel Pin range, produced to DIN 6325 specifications (m6 tolerances). Sizes start from as small as 1 x 4mm up to 12 x 120mm. We offer this in small pack quantities, however if you require larger bulk quantities, please dont hesitate to contact us. This entry was posted in News, Pins, Uncategorised on 2nd November 2018 by andy.